Lisa B. Rudolph is the founder and senior attorney at the firm. She is a member in good standing of both the Florida and Georgia Bar and has been licensed in Florida since 1986 and Georgia since 1987. Lisa has over 30 years of experience with a focus of practice in family law throughout. She graduated in 1982 with honors from the University of Florida and graduated from Nova University Law School in 1986. Lisa has had the invaluable opportunity to have worked of counsel with several prestigious family law firms in both Florida and Georgia. She understands the breadth and depth of the clients needs when dealing with a family law matter and takes great pride in offering her clients personal service, availability and effective, practical advice. 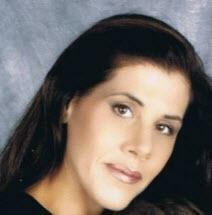 Keeping her client's best interest in mind, Lisa seeks to resolve most legal disputes through negotiation; however, will zealously advocate for her client in situations where a cooperative agreement cannot be reached. Lisa personally manages every case to ensure that each client receives the results he or she deserves.